1. When designing the sliders, the biggest clearance between the slider and the product should be at least 2 – 3mm. 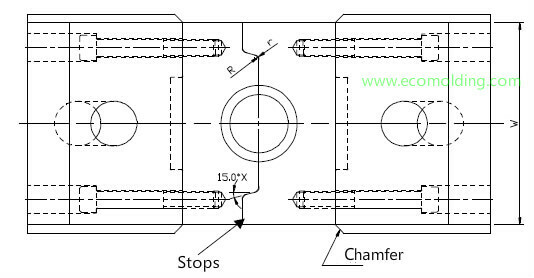 The inclination of sliders should be kept between 15 and 25 degrees, and the inclination of the guide pin should be 2 degrees smaller that of the wedge. The available diameters of the guide pin are 6mm, 8mm, 10mm and 12mm, with the min and max values being 6mm and 12mm respectively. 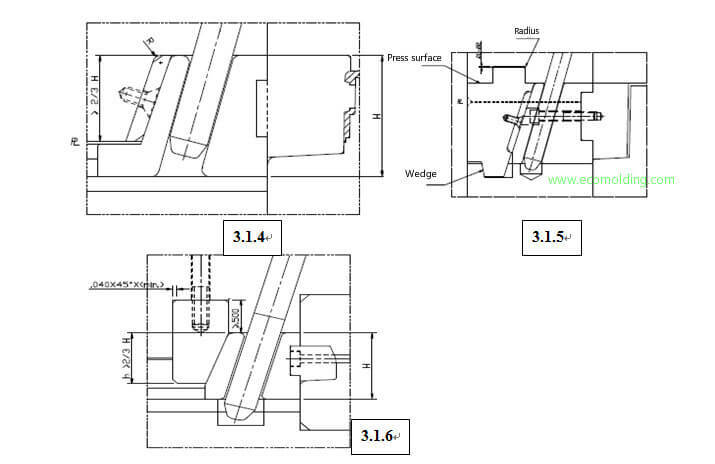 If a slider width is larger than 60 mm, deployment of 2 angle pins needs to be considered; if the width exceeds 80mm, a guide bar needs to be placed under the slider in middle. If the slider is too high, the starting point of the angle pin hole needs to be lowered, so as to ensure smooth travel of the slider. If slider open/close time needs to be delayed, the diameter of the guide pin hole will need to be enlarged. When the slider is deeper in the cavity than its own length, a wedge will not be necessary. The inclination can be designed on plate A directly. A R3 is required at the bottom. Besides, the slider doesn’t need a wear block. If the part profile surface contacting the slider is small, the slider can be designed as shown in Fig. 3.1.6, and the height of the wedge surface should be higher than 2/3 of the slider height. 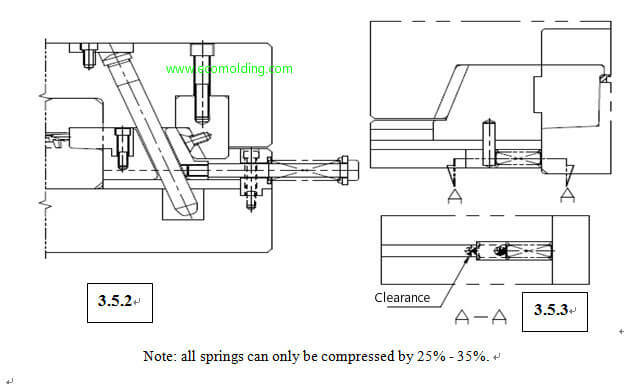 The width and height of the slider clamp – made from the 2510 steel with a hardness of up to HRC50-52 – are 20mm and 20mm respectively, while the length is dependent on slider. For upward (including inclined ones) sliders, there are raised fine inserts and pins. 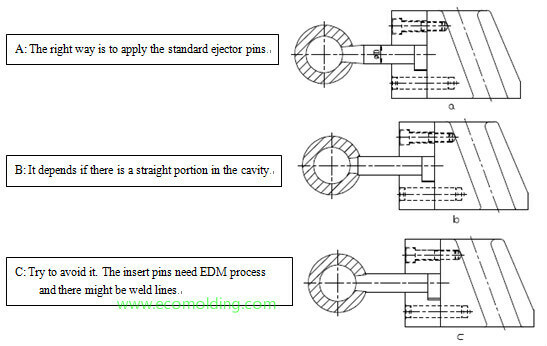 When there’s an ejector pin under the slider, a spring can be applied to facilitate return. 10.2 If the travel distance of the slider is long with an installation length of over 50mm, the spring may be mounted outside. If the height of the guide pin is larger than 100mm (see Fig. 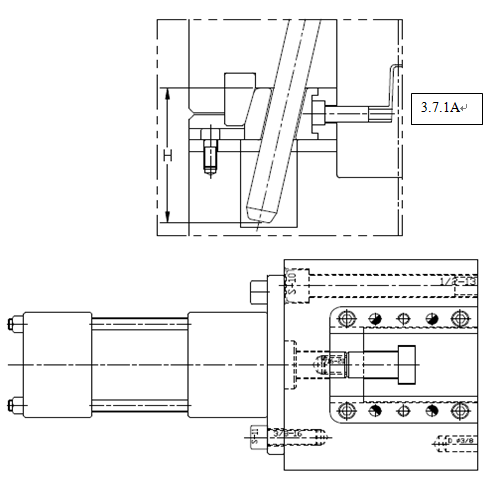 3.7.1A) and the cavity slider needs to be lifted before A and B plates separate from each other, a Air/Hydraulic cylinder may be applied to drive it (see Fig. 3.7.2B). For the undercut of a circular product with sliders on 4 sides, a stop needs to be mounted to the slider insert. 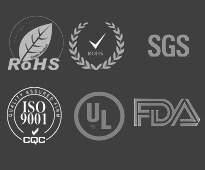 It is better to design a separate stop for each individual product if there are multiple products in a single mold.